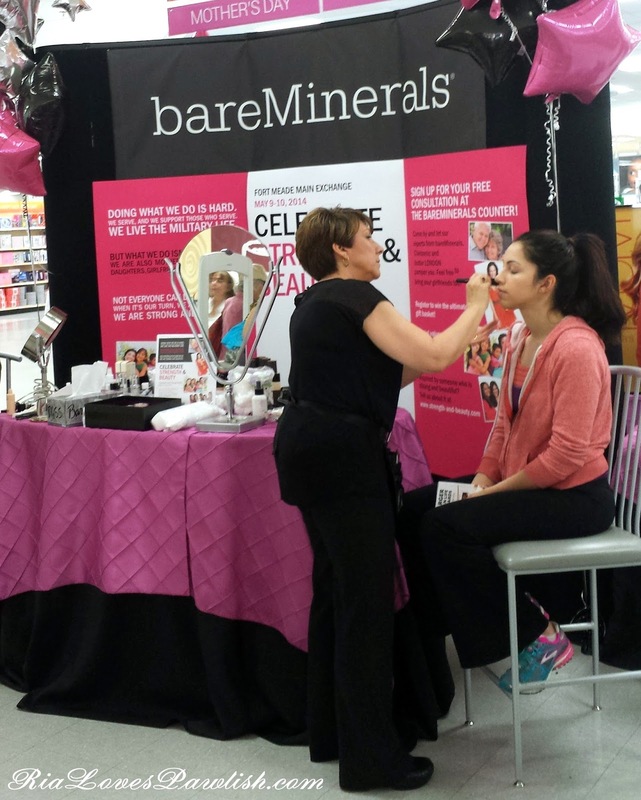 Ria Loves Pawlish: bareMinerals/Butter London Event at Fort Meade PX! 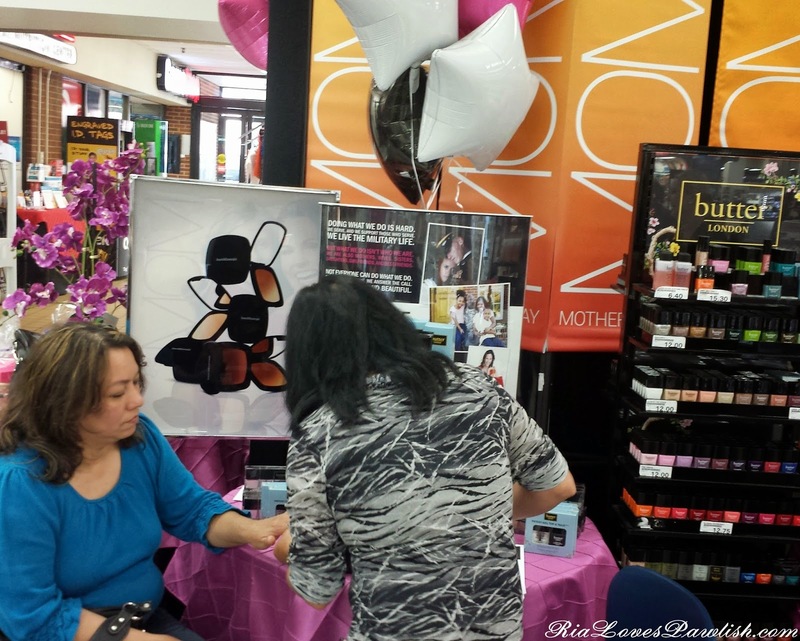 bareMinerals/Butter London Event at Fort Meade PX! i wanted to share with you all the fun bareMinerals and Butter London event i attended today at the Fort Meade, Maryland PX... plus, it's going on tomorrow, too... so those of you with military or dependant ID cards in the area should definitely go if you're free! it will start around 11 and go through the afternoon... sorry, i'm a bit sketchy on details! 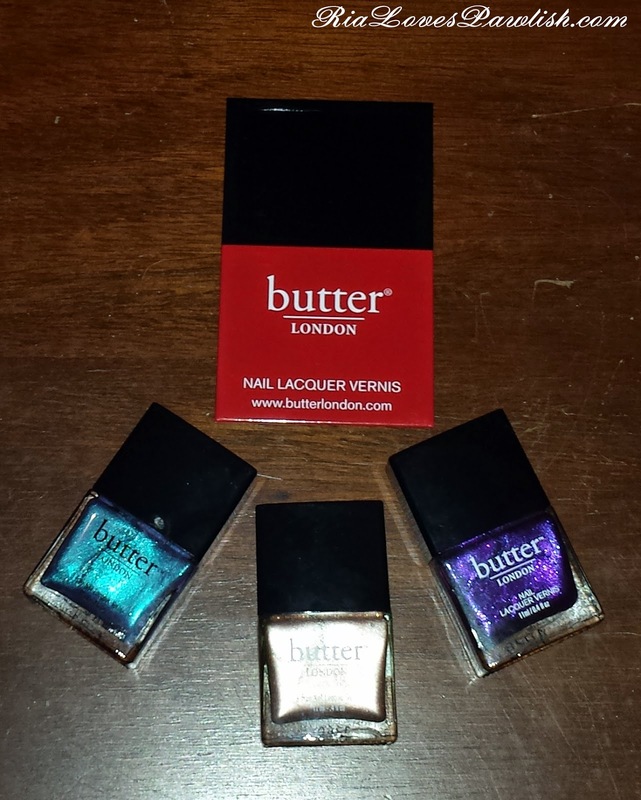 on the Butter London side, you can get a nail painted to try out the color and try out the great lotion. here's a photo of another gracious lady who consented to be featured!